Please check out the document below for details about the upcoming Wolf Pack game this Sunday, March 10th, 2019!! The Select Chorus has two more performances for this year. On Sunday March 10th at 3:00 p.m. we will be singing at the Hartford Wolf Pack hockey game. Information about t-shirts and tickets will be available soon! Select Chorus and 4th Grade Chorus will also both performin the chorus concert at BES on May 15th at 6:30 p.m.
​Stay tuned for more info! Please check out the details for our winter concert on December 11th! Songs for Select Chorus practice! Remember to practice these songs and use the lyric sheets for Santa Lucia and Dormi, Dormi since we will be performing them in English! Select Chorus starts next week! ​Does your 3rd or 4th grade student love to sing? They should join Select Chorus! Select Chorus is our elective singing group that meets once a week before school from 7:55-8:35. We sing in two concerts, perform at the Veteran's Day celebration and even perform on the ice at a Wolf Pack Hockey game! I'm so excited to see the group of students joining select chorus this year! We have a great sized group already but it's not too late to sign up! Forms are due Friday September 7th. Our first rehearsal will be next Tuesday September 11th! The Chorus Concert is coming! Happy spring! Our spring chorus concert is coming up soon! The concert is May 10th at 6:30 p.m. Both select chorus and 4th grade chorus are preparing a great program, so I hope you can make it! Concert dress is white top and black on the bottom! Students will need to arrive between 6 and 6:15 p.m. They will not be permitted in the music room until 6:00 and should stay with their families until that time. I can't wait to see you there! Select Chorus info for Hartford Wolf Pack game! Your child will be bringing home two letters this week about the Hartford Wolf Pack game on March 24th. One letter is about ordering tickets, and the other is about ordering a chorus shirt. We need the t-shirt form back by Tuesday March 6th so shirts can be ordered in time! I have attached the two letters below as well in case they get lost! Thanks! In chorus, we have been working on some body percussion. We were inspired to learn a song called Bring Me Little Water Sylvie after watching a video of the United States Navy Band singers performing the song with body percussion. Enjoy this video with your child and ask them to show you what we've been working on! We have some exciting events coming up this winter! On March 24th, we will be singing God Bless America on the ice at a Wolf Pack hockey game! Families will be receiving information about purchasing tickets very soon!! We receive a discount for tickets and families will be able to purchase as many tickets as they like through our discount! Stay tuned for more info! The winter concert is coming up quickly! Our concert is December 12th at 6:30 p.m. Please make sure students have a white top and black bottoms for the concert! Here are some recordings of our songs for students to practice at home! Select chorus will be performing a round at the Veteran's Day ceremony on November 9th. Please use this video to practice the sign language for this song! We have two choruses at Burr Elementary school: Select Chorus and Fourth Grade Chorus!! Fourth grade chorus consists of ALL fourth grade students! Select chorus is an optional group for students in grades 3 and 4! Both groups perform in the winter and spring chorus concerts and at the Veteran's day assembly! Select chorus forms will be going home this week! Sign-up forms are due back September 8th! We meet once a week before school (7:55-8:35) and perform in the two concerts, the Veteran's day assembly, and at a Wolf Pack Hockey game! I'm so excited to start chorus again for the year! The students had such a great time last year!! Winter Concert: December 12th 6:30 p.m.
Wolf Pack Hockey Game: March 24th 3:00 p.m.
​Spring Concert: May 10th 6:30 p.m.
We had a wonderful chorus concert last week and I'm so proud of our students!! We are all done with chorus rehearsals until next year. Thanks for all of your support, hard work, and music making! All fourth graders and Select Chorus members in Concert NEXT WEEK! We are getting very excited about our chorus concert, "Colors of the World," that will be held on Tuesday, May 9th from 6:30-7:15 p.m. Select Chorus and Fourth Grade Chorus have been working very hard to polish up their music and get it ready for the performance. Just a few reminders! Students should be dressed in white tops and black pants/skirts with black shoes and socks/tights. Performers should arrive between 6:00 -6:15 p.m. If you arrive earlier, you will be asked to remain with your child until 6:00 p.m. At 6:15 we will begin warming up our voices and preparing to sing! Thank you for all of the support that you give to your children! See you at the concert! Select Chorus has been working hard to get ready for the spring concert as well. Students will be given an assignment over break to practice their chorus music (3 minutes a day is all it takes) and they will be given some lyrics to practice as well. Feel free to sing along to these videos! We have just begun rehearsals for fourth grade chorus for our spring concert (May 9th at 6:30 p.m.)!! Check out some of our music for the concert! Students may wish to listen and begin practicing! Select chorus did an awesome job singing 'God Bless America' at the Wolf Pack game last Saturday! You should be very proud of your students, I am! I'm so happy that we got a second chance at this great opportunity and I hope that you all enjoyed the game! Here is a video from that day. Enjoy! New Ticket information due to PTO ASAP!! Please remember to fill out the Wolf Pack ticket form ASAP to get new tickets for the game. If you are not planning to use your tickets because you cannot attend any of the game options, please let me know so I can find a family who can use them! Wolf Pack Game is Rescheduled to March 4th! We are lucky enough to be sharing our Wolf Pack performance with Haddam Elementary School! We will now perform God Bless America on the ice before the game on Saturday, March 4th at 3:00 p.m. More details to come about arrival time and use of tickets if you aren't able to make our rescheduled date! Select Chorus Wolf Pack Game to be Rescheduled (hopefully with a Performance! Unfortunately due to weather, we were not able to sing at the Wolf Pack game this past Saturday night, so we will be looking to reschedule the game. We are not sure if we will be able to find another game that we can perform at, but we will at the very least, find a game that we can all attend as fun a group outing!! Stay tuned for more information!! Our Concert is Next Week!! Our winter concert is next Tuesday, December 6th at 6:30 p.m.!!!! Students need to bring their instruments and books to school on Tuesday for our dress rehearsal!! Band and chorus students need to be at the school at 6:10, wearing white top and black pants/skirt! Can't wait to see you there! 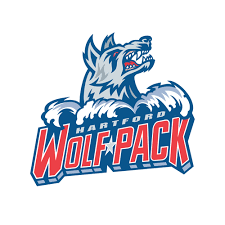 Once again Burr Select Chorus will be performing at a Wolf Pack hockey game in Hartford! We will be singing in the middle of the game on Saturday, January 7th at 7:30 p.m. More details will follow about buying tickets, what to wear and general information, but mark those calendars!!! Our winter concert theme is Peace, Love, and Music. We are celebrating our differences and spreading peace in a world that could use a little more these days. The Select chorus will be performing an arrangement of Shalom Chaverim/Zum Gali Gali, To Music, and This Little Light of Mine. The fourth grade chorus will be performing Peace Be With You, African Wish, and I've Got Peace Like A River! Check out some recordings below! Just keep singing, just keep singing! Select Chorus met for the first time today! I'm so excited to work with this wonderful group of students this year!! 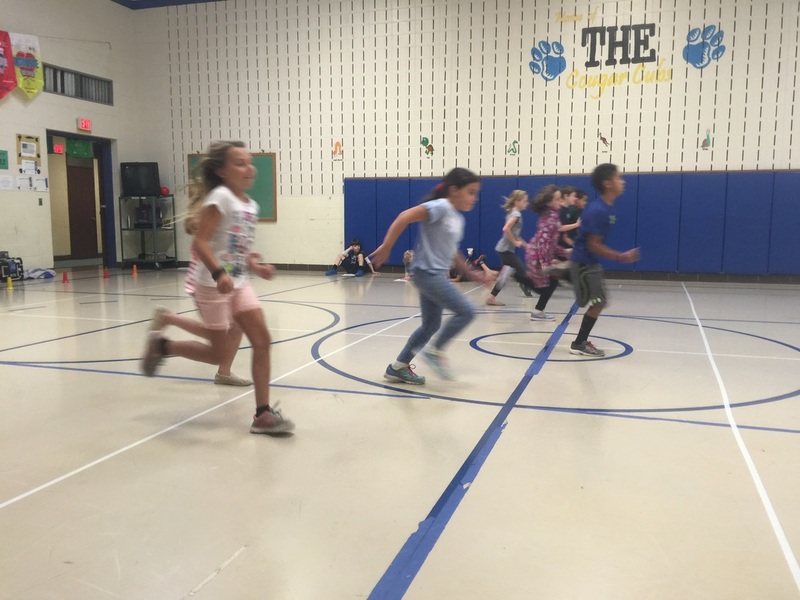 We had a lot of fun warming up, getting to know each other, and beginning to prepare for for our performances! If you have not reviewed the select chorus contract with your student, please do so and send it back to school signed by September 16th! ​Fourth Grade Chorus begins October 5th!! Please mark your calendars for the Winter concert on December 6th at 6:30 p.m. at Burr school!